The firm TOP-DREWNO is manufacturing company which deals with producing timber from various species types of wood. 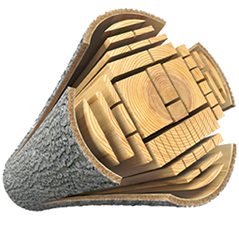 Our sawmill has a wide range of assortment of wood such as: larch, spruce, fir, pine, oak etc. On a large scale, we import and export timber and wood. Our company continuously supply wood to customers in the our country and abroad. Our years of experience in the sale of timber makes us able to realize these contracts typical and very unusual. Our main profile of activity is the production of products needed for the wood construction like: cottages, gazebos or patios. We produce a lot of decking larch coming from Polish forests. © 2017 Top Drewno. Wszystkie prawa zastrzeżone.